If you were an indie kid in the early 2000s, this year is probably blowing your mind. Joining Beck, Jack White, Sufjan Stevens (via Sisyphus), Jenny Lewis, Interpol, The New Pornographers, Spoon, Death From Above 1979, and Ryan Adams, Toronto based indie pop outfit Stars have become the latest group to muster a comeback. We’re one Death Cab For Cutie release away from a new volume of The O.C. soundtrack. 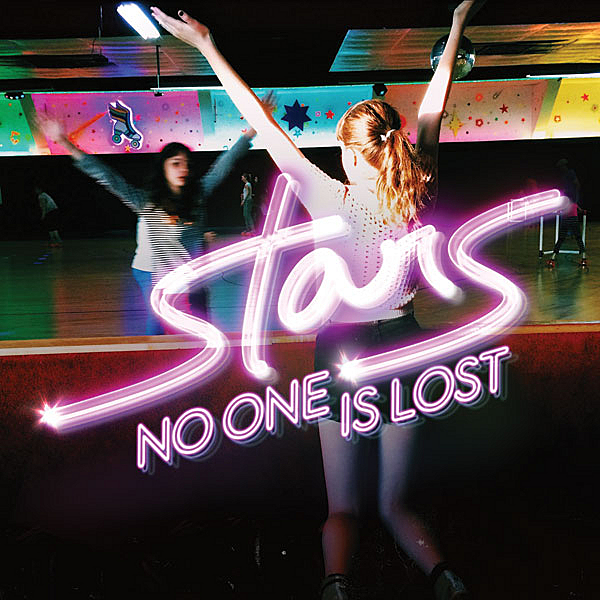 Seth Cohen loves 2014 and so do I.
Stars’ upcoming album No One Is Lost will be their 7th studio LP and is scheduled for release on October 14th. They’ve released two new songs on their SoundCloud to promote the new material/subtly remind me how great they are. “From the Night” is a shimmering synth-pop epic that shows even heartbroken Canadian indie kids can find a reason to dance sometimes. The lead single “Turn It Up” is a delightfully fuzzy guitar pop track that seems willfully ignorant of Lil Jon’s influence on popular meaning of turning it up. Pretty sure nobody has ever or will ever get turned up listening to Stars. Or turnt up. Honestly, I still don’t even know how to use the phrase properly. Turn down for Stars? You can listen to both of the new songs right here.